Sapphire Skies by Belinda Alexandra. ​You know that feeling where you feel as though you know the character, the feeling that they are a part of you and you just want to cry with sadness yet joy? I feel like that right now. Sapphire Skies was a beautifully written book and I cannot fully express how much I love it. There is much "me" in this beautiful story in the cases of me loving aviation along with having a Russian background and a love for animals. Sapphire skies by Belinda Alexandra is one of my favorite novels that I have ever read and I really cannot explain how perfect this novel was. You know that feeling where you feel as though you know the character, the feeling that they are a part of you and you just want to cry with sadness yet joy? I feel like that right now. Sapphire Skies was a beautifully written book and I cannot fully express how much I love it. There is much "me" in this beautiful story in the cases of me loving aviation along with having a Russian background and a love for animals. Sapphire skies by Belinda Alexandra is one of my favorite novels that I have ever read and I really cannot explain how perfect this novel was. I had to read this book for my English class this term and I have to say that I was unsure about it at first. But now that I have read it, I can truly say that it is quite an enjoyable and historically understandable book. The concept of the story is that of a re-telling of the Russian Revolution with some of the animal characters representing important people during the revolution. For example, Napoleon would be Stalin, Snowball:Vladimir Lenin etc. The characters are then set into a concept whereby the farm is Russian and the old farm owners would be the Tsar and Russian Royalty. I found the novel to be very creative and understandable and overall a great way to teach people the Russian Revolution from a creative and different perspective. Overall it all came to one thing, human kind and pig cannot be seen with a difference. 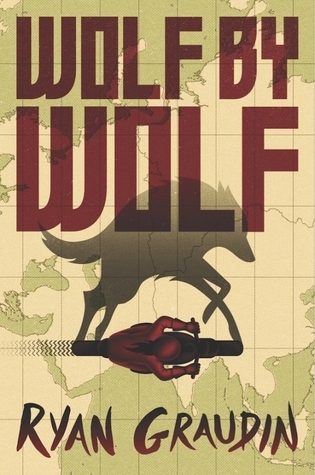 Wolf by Wolf was a quick and enjoyable read for me. The novel is a mix of historical, contemporary, young adult and romance. I loved the plot line, characters and the whole concept of the race and the Yahel's mission. Felix was one of my favorite characters and I love his love for his sister Adele. I feel as though Yahel gave Adele more character and I rather liked Luka as well. Some parts of the story were painful to read as they have an insight to the Holocaust and the torture of so many innocent people. I loved the idea if the five wolves and would most definitely continue with this series in the future. I will most definitely continue this series. I recommend it to other readers that enjoy action and little romance and the ending OMG I was so "ahhhhhh why" you guys must read by the way the ending will make you want more. By the way this is my first review so bear with me. The romance is little though still intriguing though it was building up. 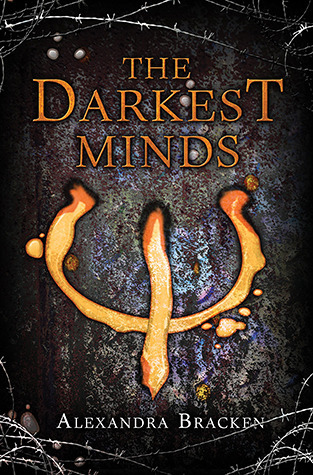 Darkest Minds by Alexandra Bracken is a page turning book though it was slow to begin with as it was still world building. It was a completely different story from others that I have read or seen. The cover is simple yet gripping with colors that will be explained through the book. When I saw this book, I was quite excited as I loved Ryan Graudins novel Wolf by Wolf. I have to say though, that I am happy but unhappy with its ending. The reason why is because I just feel as though Mei Yee did little for the story but again, the pretty girl gets the boy. I feel as though she was kind of clueless and I get it, she has been stuck in a brothel for half her life and has a crap past, but she really seemed boring. It annoyed me that Dai liked her because of her beauty because come on, Jin Ling is awesome and probably beautiful as well. It also seemed to me that she was played out to having nothing yet she was treated so well by her customers and got a lot more than what Jin got. I mean a bonsai tree would have cost a lot more money than Jin would of earn in a single year. To me she was a kind of basic needy character where the whole story seemed to revolve around her so I'm sorry to say this but she was my least favorite character and for this, the ending just made me completely annoyed. Don't worry Jin Ling, you have Chma. Chma you are my favorite character. Talking about Jin Ling, I love her character development and her goals. She was determined and has a pretty cool cat and I have to admit, I cried when her cat got hurt. Jin is a strong character who's determination gets her into a lot of trouble which made great action for the story. Dai is also another great character who is full of mysteries and pain. I loved his character development but as you can see in my rant earlier, I would have much preferred him to be with Jin Ling instead of Mei Yee. The plot line was very interesting, clever and creative and I have to give it to Ryan Graudin for another awesome plot line. 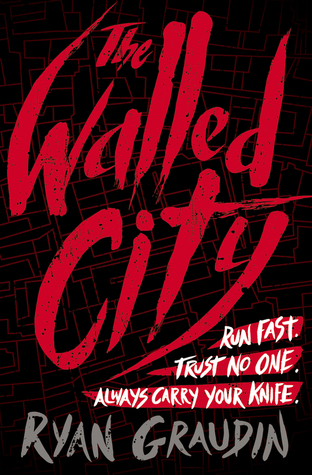 Fact: The Walled City is actually real! Search China Walled City. This brings pain to me as it is understandable how real stories like this actually are where girls are forced into prostitution and are stolen from families. Overall, I really enjoyed this novel and although the ending didn't work out for me, it may for others so I do recommend this to anyone who likes young adult action and heartfelt cat moments. Publication Date: August 1st, 2016. Main Comment: Be wary of free water bottles and old hippy bearded men in white cotton clothes. General Comments: Okay wow....This book was interesting yet so weird. Like the scary kind of weird. Lili Wilkinson, how did you think of this? It was scary, deranged and actually makes me not want to get free water bottles and for this I absolutely love it! 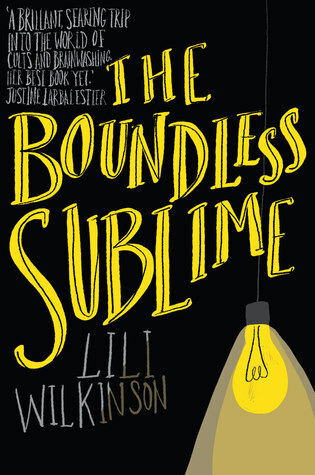 The Boundless Sublime by Lili Wilkinson was a new kind of read for me. First of all, it was my first read by Lili and secondly, I have never read such a perfectly messed up and deranged plot line that actually makes you want to visit Melbourne but also not want to visit Melbourne. The whole idea of the books is what interests me most. It has a form of old man serial killer mood that is really quite scary yet it all ties perfectly in around a young adult contemporary romance. I loved the characters, especially Fox and Ruby, and found that each character had their own form of personality and life experience that I could somewhat relate to...except for messed up psycho man...nobody can relate to him. I found that over time each character developed quite well and for this, it made the novel much more enjoyable and understandable. The plot line of 'The Boundless Sublime' was extremely creative and turns quite dark quite quickly. Although you expect the cult like institute to turn bad as it hints to in the blurb, the change from good to bad is so unexpected and creates a very creepy aura to the book and makes turning the next page a hand shaking experience. Overall, this novel was one of a kind and has successfully lured me into wanting to read more of Lili Wilkinson's novels. I recommend this book to anyone who likes reading Young Adult Contemporary novels with a horror twist. A special thanks goes to Allen and Unwin for sending me this novel to review. Thank You! Main Comment: A powerful book with a message that is so scary yet so true. General Comments: This book really pained me. I am 15 years old and to think that I could be married at this age to a man who is nearly twice as old as me seems ridiculous but for many young girls not only in Australia but anywhere in the world, it is the sad reality. Promising Azra is a simply wonderful yet terribly sad book. I truly cannot find the worlds to describe it. This book pain me as the truth to this novel is really quite harsh. It has made me realize that anybody can be subject to forced marriage yet alone abuse and family issues. Helen Thurloe has done a fantastic job on this book and I feel as though writing it would be just as hard as it was for me to read it. I want to congratulate her on the writing of this book as she has made it into an enjoyable, scientific, young adult story about a 16 year old girl who is great with science and has a bright future in front of her all the while mixing it in with traditions which are so painfully real. The Characters were really enjoyable and realistic for me. 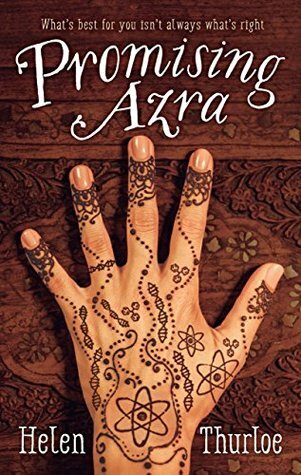 I can relate to Azra as I am a science nerd myself and to Bassima as I do rather like my nails. Azra's brother was also a significant character as he played a major role in some of the events towards the end of the book and I really loved Pratik as he went through a lot of crap throughout the events in this book. Oh and lets not forget innocent little Soraya who was forced into the horrors of the abuse and fighting. I truly did feel so sorry for her and wanted to reach through the pages and just hug her. Each character had a distinct personality that I could see in a real life human being. Overall, the characterization was done very well. The plot line was another interesting aspect of the novel. I found the story line to be rather creative as the novel not only brings up the subject of forced marriage but hints to abuse both mentally and physically along with strong hints towards sexism in religious cultures and ethnic traditions. Some scenes in this book really hurt me inside as I cannot image this happening to anyone yet it does happen to so many people. I loved how the novel also hinted to ways of speaking out about the issues such as Azra speaking to her friends and the issues as well as seeing a Councillor and speaking with her teacher. I found this very helpful as those who read this book will know where to contact if they ever find themselves in such a state like the state to which Azra was placed. Overall, Promising Azra is a powerful novel that I believe should be read in schools as it really helps to open the mind to the issue of forced marriage, abuse and sexism. For all you know, it could be happening to the girl or boy who sits next to you in class. People need to be aware of how possible and realistic these issues are and they need to be put to end. Believe me now, nobody wants to be forced into doing something you don't want to do. Especially marriage to a man who is twice as old as you. Helen has done a great job in writing this novel and I recommend it to anyone who wants to have a taste of reality in the mix of a young adult novel. I feel truly honored to be able to read this novel before its official publication date and I feel as though it is a must read for everyone both boy and girl, woman and men. Publication Date: September 1st, 2016. This story was really quite an emotional eyeopener. 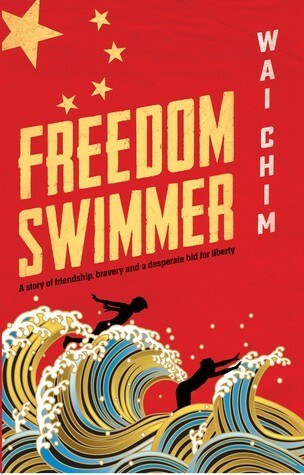 The story tells the tales of two young men who are fighting for survival in a poverty stricken village in the time where China was starting to develop into the modern world also known as 'The Great Leap Forward". The novel really gave evidence into what life was like living in poverty based areas and the living conditions are absolutely harsh and heartbreaking especially the ordeals they go through with the guards etc. It is obviously clear that from the events the boys went through and the action they implemented into themselves to flee those events would have been truly terrifying and goes to show how desperate people were to flee these harsh places they once called home. The ending really made me sad! I like the fact that the main boy, Ming, follow what his father said was extremely sad yet so beautiful and I have to say, this book was written so beautifully and so realistically that I would love to continue with reading books written by Wai Chim. Ming went through a lot, he lost his family and friends and was looked down upon by others. He was a lost child that had an awful life and I definitely felt for him and his friend Li throughout the story. They are two memorable characters that will stay with one for quite some time to come. Overall, I definitely recommended this book to anyone who like historical novel and action and to anyone who wants to fell sad and shocked and everything...it is very emotional in my view.